Whatever the reason stated, these weapons were not created for warfare. They were created to control an unruly populace in the Aftertime, when those who thought they would control the US military anticipated being able to take over most of the world as kings. Those who put Bush and Cheney into power anticipated either being in power when the pole shift occurred (potentially in 2003) or eliminating the need for future elections by fiat, executive order from Bush who would declare martial law. They anticipated being in control of the oil fields of the Middle East, in control of Black Gold, the source of energy in the future. They wanted to establish worker camps, and tried to do so under Bush by a type of citizen draft where civil service of some kind had to be honored. And they certainly wanted to start eliminating the unwanted eaters from the populace, and were poised to do so by bio-terrorism in cities, germs spread by chemtrails, and selective vaccinations. That was the plan. Obviously, the plan was countered by humans and benign aliens alike, often working in concert with each other. Active denial "defense" was to be able to disarm any citizen uprising while the military went in to select out who they wanted to keep for the worker base from those who could be quickly eliminated. These weapons could kill as well has stun. It was not enough to have work camps of the healthy and strong. Who was to replace these workers when they were no longer efficient? An element of the populace who would breed the replacements was needed, and thus a majority of the survivors were anticipated to be in small villages, dominated of course by the powerful US military and their active denial weapons. Now what will become of these weapons, and all other weapons held by the military? We have stated that 43% of survivors will be at least temporarily insane. For the military, this is likely to be a higher percentage, as those who join the military are looking for security, a big parent, and are not truly independent minded people. The military will fracture, and those left after the insane have been disarmed and the majority have run off in panic will turn on each other, trying to establish a new pecking order. They will use their weapons on each other, and by the time they have decimated their ranks, the weapons will no longer be working, the broken link in effect. Machinery needs more than someone pushing a button, it needs mechanics and replacement parts, and these will simply be absent. If a group were to acquire a dome that can be erected after the passage, but they wish to prepare a thickened slab in the far western foothills of the continental divide prior, would the calamity of the mountain building make pre-pouring the slab pointless? Of course any advance preparation of a survival site runs the same risk of being damaged by earthquakes and high wind as existing structures. This is a constant trade-off among those making serious preparations. If they are living there, or plan on being on-site well ahead of the hour of the pole shift, then they don't want to be living as though on a long camping trip. "Let's get started putting up the site", is the thought. In general, have your supplies in a place where they cannot blow or wash away, anchored, and wait. There is a trade-off for those construction efforts where heavy machinery or a cement truck can be easily brought in NOW, but not later. This must be your call, after weighing the possibility of destruction during the pole shift. After accidentally stumbling onto an online a site for an Ancient Civilizations DVD and lately as I watch certain in-depth historical accountings on PBS; along with the recent parade of modern-day Druids around Stonehenge; etc. I've wondered - where archeologists dig through the unending layers of earth to subsequently present their findings, which inevitably help to define our history - that's in and amongst unavoidable disputes which then, at times, re-write said history, yadda, yadda, yadda - how much of Archeological discovery is guess work? And how much of it all is a true fitting together of the puzzles pieces left behind? How much of it is honest conjecture, or outright participation of the cover-up, i.e. NASA, Astro physicists, Astronomers, religious elite, etc.? I don't remember reading anywhere [ZT] that the archeological community had been as equally engaged in say - writing out all references to alien presence and past pole shifts. Have previous surviving communities, and world populations of prior pole shifts, been forced to deal with such a massive a cover up as our time? Are we, this time around, in a unique position? Or is this merely what has happened after each PS; the would-be kings, lords, and subsequent elite gain control of the media and here we go again. Or possibly not; as relates to the various ancient symbols carved in stone whether we interpreted them correctly or not given the depth of our ignorance, or did they go through their own periods of varying forms of Awakenings? Lost history occurs for many reasons but primarily because a cataclysmic pole shift destroys the libraries, kills large segments of the population, and scatters the survivors who go in search of food. If you are starving, half insane from the devastation that marched over your landscape for weeks and ended with a bang, what would you cherish? Would you drag your loved ones in search of food and sunlight, or would you rescue clay templates? In modern day terms, would you toss your books on a fire in the dead of night when shivering uncontrollably, or drop them along the way to rot in the rain when your limbs were so thin they could hardly carry you, or would you sacrifice all for your books? The best record of past pole shifts is the Egyptian Kolbrin, which was saved by those dedicated to informing future generation. The Kolbrin not only had to survive the ravages of three pole shifts, in the past millennium it had to survive the purges of the Church which tried to destroy it. The book of Enoch was excluded from the current Bible because it so clearly spelled out what mankind had to look for, and likewise the Kolbrin was considered a threat because it so empowered man with the signs to look for. Those in charge of the Church wanted the sheep dumb, so they could be told the cataclysms were due to actions of man and man could thus be enslaved by fear and guilt. But prior to this last millennium such fear of the historical record had not gripped those in power, who were more inclined to use brutality than psychological manipulation. What's behind all this recent terrorism warning stuff. Been going on for a couple weeks now. Any STO interventions? [and from another] http://abcnews.go.com/Blotter/airport-lobbies-terror-targets-european-plot-official/story?id=11790782 [Oct 4] Europe Terror Alert Was Sparked By German Jihadis Training In Pakistan Pakistani intelligence officials say that a drone strike inside Pakistan has killed eight German nationals in the Waziristan region of Pakistan. US officials could not immediately confirm the report. The strike comes a day after the State Department issued a travel advisory for Americans traveling to Europe because of the potential threat of Mumbai-style commando attacks on civilians, possibly by terrorists of German origin based in Waziristan. Military analysis know that if a campaign against a terrorist group is ramped up, then that group will respond with their own campaign. Obama closed out the war in Iraq, as promised, returning control to civilian rule. Then he stepped up pressure on the war in Pakistan against the Taliban, adding troops and making this a military priority. This is one of many maneuvers the Taliban will try, but intelligence in the west is more than sufficient to counter these moves. Where Planet X now? I can feel strange lull in growing of Earth changes. Is something changed? Can Zetas explain why in begin of year 2010 was high level of Earth Changes and seismity level, but now this level unusually quiet. I mean seismoactivity and magnetosphere anomalies. We have repeatedly referred to a dither that Planet X and the Earth do, whereby they literally bounce off each other and then approach again. During all of this, Planet X continues its outbound course, and the Earth attempts to evade Planet X by scuttling back in her orbit to what will soon be the August position. Add to the mix Venus and the Dark Twin. Imagine a situation where a number of cars are spinning around on ice, out of control and occasionally bashing into each other. Two may bash and spin away from each other. These two may head in the direction of other cars and create multiple car bashes, though the Earth as one of the cars might be unaware of the others. There will be times when, on the rebound, the cars miss each other as they spin and bump into snow drifts or hit a particularly slick spot on the ice. And perhaps the drivers, desperate to gain control, steer the cars somewhat, avoiding collisions. And then there will be those times when all the cars collide at once. This is a simplistic way of describing the repulsion force, better known as anti-gravity, where large bodies cannot collide with each other. Also, a simplistic way of describing the influence of magnetic fields, where magnets attempt to align end to end or side by side or in opposition to each other and even on occasion at right angles to each other. Mix in the outbound particle flows from the Sun, what humans know as the solar wind, and the returning particle flows that man is unaware or. Add the outbound thrust of Planet X, which has momentum and is punching through the particle flows, a headwind, as it goes outbound, often in a throbbing manner rather than a steady pace. If there seems to be a pause at any point, it is just more disaster heading your way, like spinning cars out of control on a patch of ice, collisions are inevitable! What is causing asthma cases to be on the increase worldwide? What kind of microbes are on the move where everyone is getting sicker: new strands of fungi, bacteria in clouds multiplying thicker, dust and mold kicking up and carrying in the Jet Stream more, pollution from cars/factories increasing, coal burning, chemtrails or other causes? The major media seems completely hushed on the matter, yet the epidemic situation seems far worse than any pathogen we have heard about over the last 10 years such as Swine flu, Bird flu and H1N1! Are pollution masks not even enough to stay healthy before and after the PS to avoid getting asthma? Who wants to stay indoors all the time or wear a mask everywhere? [and from another] Uncontrolled asthma cases increasing in US and Japan [Sep 5] http://www.digitaljournal.com/article/297099 Uncontrolled asthma patients in Japan and the United States report that their quality of life has worsened and they have to make use of healthcare resources more often according to the National Health and Wellness Survey. Over 300 million people are affected by asthma worldwide. As is known, asthma is more prevalent in areas where air pollution exists, can be incited by allergens in general even if not airborne, and is very much triggered by anxiety or tension. So what does the current situation present that is different, say, than a decade ago? Air pollution is worse as more volcanoes are active than before, and this is not likely to ease. The tail of Planet X is leaving greasy elements in the air, creating halos around the Moon and Sun on occasion and odd neon clouds. Oil and gas explosions are likely to increase as the Earth changes ramp up, and methane, released when rock layers pull apart, is an irritant too. But as all of mankind senses, in one way or another, that something is afoot, that changes are occurring that are not being addressed by the establishment, anxiety is on the increase. And whether it is an adult having an asthma attack due to this, or a child sensing the tension in the adults nearby, the result is the same. More asthma. I want to ask about a cycle of incarnations. If the young soul has made very bad act in this life and didn't repent, will be (his) her next life similar to life (his) her victim? How there are incarnations on prison planets (Each soul wants the best body)? Can choose star children for themselves bodies only? We have stated that karma, as most people understand it, does not exist. They see cruelty and unfairness and mutter to themselves "He'll get his in his next life". The Hindus take this a step further and describe the possibility of being reincarnated into a cockroach in the next life. Karma exists within the same lifetime, where a person creates the situation that proves to be a disaster for them. Bad choices, a stubborn refusal to see the facts, a careless attitude toward the wellbeing of others and the person finds themselves later in a bad situation. That's karma. But the rule on incarnations is that each incarnation is a fresh start! This is to allow the soul to grow in new directions, unencumbered by prior actions in past lives. Another frequent misunderstanding is that the entity gets to choose or dictate its next incarnation. This is certainly true of Star Children, who are advanced souls from higher densities returning to 3rd density to do service. It is not true that young souls get to choose their incarnations. Once sparked, the Birthing Guides are involved. A critique of the past life is done. The focus is not on punishment but the opportunity for the young entity to learn and try different approaches. It is possible for a young soul heading in the direction of Service-to-Self to reverse and go completely in the other direction. It is also possible for a young soul seemingly solidly Service-to-Other to realize they are not as strong in their resolve as assumed, and more life experiences are needed to firm this up. Invariably, the young soul will be the recipient of cruelty he inflicted on others, as so many lifetimes are involved. What happens on prison planets, where every soul wants to be the big bad bully among others? Souls placed on prison planets are not abandoned by the Spirit Guides. The same rules apply, whereby the troubled soul gets to contemplate being on the receiving end of cruelty, as well as the rare flash of kindness exhibited on these prison planets. Thus a variety of incarnation experiences are arranged, and the soul does not get to chose its next incarnation. If Earth is a schoolhouse for young souls, then who are the teachers? Why is our education system so horrible? Memorize and repeat. That isn't learning... I'm never asked to come up with new ideas, just memorize information for a test. Why is our education system so focused on memorization instead of actual individual thinking? Young souls are not directed into their activities, as are students in mankind's schools. They are not given a curriculum and told what to study before the test. They are not lectured on the subject and quizzed to see if they have memorized the material. What this produces, of course, is automatons, robots, marching to the rules and not thinking independently. In allowing incarnations to occur naturally on young worlds in 3rd density, God did not intend for these young souls to be automatons. This is life, which has countless choices before it, and countless paths it could take. Even the nature of DNA evolution shows this variability. Young souls on 3rd density worlds are self taught, in that they are presented with opportunities for action or for learning, can choose their response, and take note of the reaction. They have this freedom. This is not an automaton following what it has been taught, this is a free creature choosing its path. My question is about how we are to handle STS in our groups in the aftertime? Especially with regards to family or where the parents of STO children are no longer desired in the group. I read about banishment, but is that the only answer? Control seems difficult since they are good liars and make promises, later to be broken, to convince others of their plight. I would hate to be the negative one to point out to the group their true identity, especially if a child were involved. Can we do our "battles" in the soul realm without disrupting the group, letting the STS know it is time to leave on their own? Like a group call or something along those lines. Recently fighting the STS in my own family (rather than running away as in the previous 20 years) and even though they do back down, it is only a short time before they return to start the fight again, knowing that that subject pushes me far enough to fight. There has to be a more efficient way. A frequent approach to those in the Service-to-Self is to either give them what they want or run away from a fight. The Service-to-Self soul in a young child may throw temper tantrums that do not abate until the toddler gets what it demands. Since the demands are usually for a toy or a piece of candy, the mother gives in as the consequences are few. Peace at last. If larger and stronger than its peers, the child becomes a bully, so that those wishing to avoid a bruise or torn clothing or a chipped tooth give the bully what it wants. School lunch money is handed over or humiliating postures assumed, all in the name of peace. As the Service-to-Self child grows older it learns various manipulation techniques. It might attempt to humiliate or blackmail family members by revealing embarrassing information publicly unless allowed to get its way. If in possession of assets, the Service-to-Self child will attempt bribery with others, and finding this allows it to be a leader of a pack, expand its horizons. Those who have grown up with a Service-to-Self sibling or raising a Service-to-Self child recognize these signs. Even an undecided, leaning to the Service-to-Self, will display these signs on occasion. Giving in for peace, at each step, emboldens the Service-to-Self child and makes any future confrontation more difficult. The child grows to an adult and finally encounters opposition from someone who has learned how to deal with the Service-to-Self mindset. First the demands, and when they are not met, the threats and insults and manipulation attempts. When these do not work the Service-to-Self individual become livid with rage, and the fight is on. This will only end when the Service-to-Self individual feels there are easier pickings elsewhere and leaves the battle. Polarization is increasing, so Service-to-Other groups are strengthened and the Service-to-Self find they are not comfortable with the focus on caring, so leave. But if a Service-to-Self finds they do not have options elsewhere, they may try to fight for dominance in an Service-to-Other environment. In this, you should not give in for peace. They must leave, else the problem will not be resolved. 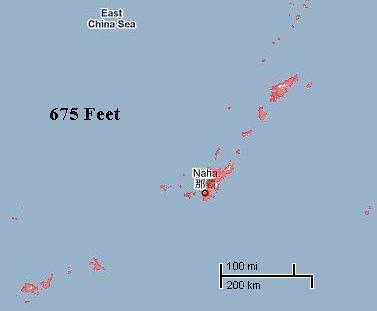 A question about the Diaoyu Islands. As the big Japanese quakes will happen in the near future. 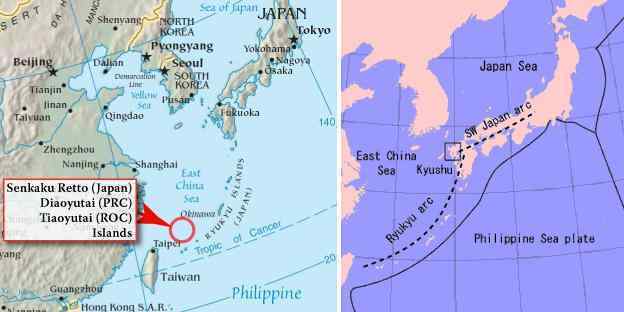 I really want to know whether the Diaoyu Islands or the similar islands would be affected and sink into the Pacific Ocean. Small islands in the South China Sea will not lose elevation as a result of plate movement, as the Philippine Plate will push under the great Eurasian Plate at this point, if anything giving them a slight boost. It is the coastline of south China below Taiwan that will lose sea level when the tongue holding Indonesia is pushed down. What these small islands in the South China Sea need to fear is that the tidal waves will wash over them, due to their small size and relatively low elevation. 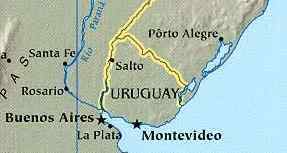 There is no way on any of these small islands to be 100 miles inland from the coast. The tidal waves will wash over these islands, with scarce a spot to cling to. I know in a recent question you stated that the Gulf Stream has not 'stopped'; but here is an article bemoaning the fate of Russia this winter as expected to have 'the coldest winter in 1000 years because the Gulf Stream has slowed: http://rt.com/prime-time/2010-10-04/coldest-winter-emergency-measures.html The article itself states: "The change is reportedly connected with the speed of the Gulf Stream, which has shrunk in half in just the last couple of years. Polish scientists say that it means the stream will not be able to compensate for the cold from the Arctic winds. According to them, when the stream is completely stopped, a new Ice Age will begin in Europe." I know we don't have to worry about a new ice age with pole shift coming soon. But here in Maine many of us are commenting on the very unusual fall of acorns. I have seen a caterpillar, fuzzy with black on both ends and brown in the middle. Folk lore states that the width of the brown shows the harshness of the winter. I have seen a narrow brown strip before mild winters, but several of the caterpillars I have seen are all brown, no black. Is there going to be such a severe winter in the northern hemisphere ahead of us that many people will have extreme hardships with keeping warm? New Zealand just reported hundreds of thousands of lambs have died in the spring cold snap. Is this just because Planet X is quieting the sun, so everyone will feel cooler or cold? The Zetas have said the seasons will mix, snow in summer, which happened at the beginning of Sept in the US this year, and warm days in winter, etc., but these reports raise the issue of not just innocent seasonal mixing, but new extremes. Are there special precautionary measures people in northern climates should take right now as emergency measures? We have made the statement that the Northern Hemisphere, in general, can anticipate cooler than normal weather until the pole shift. This, despite the period of time during the summer of 2010 when the Earth was attempting magnetic opposition by pointing its N Pole too far toward the Sun, and thus the heatwaves in the northern hemisphere and the freezing livestock in the Andes. Still, our prediction is in general for colder weather in the Northern Hemisphere. Since July, when the Serpentine wobble became a rattled wobble, predicting just what element will be affecting the globe in any given day could change rapidly, day to day. There is no accurate way for even ourselves to predict a long range forecast, and we decline to be a daily weather forcaster for mankind, who must in any case anticipate our broad prediction - that the seasons will blend into one another prior to the pole shift. The wobble may swing in such a way that one part of the globe is unseasonably warm while another is unseasonably cool on the same day. Then this may switch about. The wobble does that. It pushes this away while pulling that forward. It tilts horizontally, toasting this quarter of the globe facing the Sun more than another. The wobble has become unpredictable on a day to day basis, for mankind. If in opposition, the situation that occurred this past summer might return. If the globe tries to align in an end to end manner with Planet X, the Northern Hemisphere will freeze for a time. And such situations may last a day or last for weeks. And through all of this, the wobble is affecting ocean currents. They will surge, running up a coastline further than expected, or swirl and turn upon themselves, delimiting their effect. This likewise is unpredictable, long term, and we again decline to be a day-to-day weather forecaster. If the currents are affected by the wobble, then the coastlines they protect from heat or cold will likewise be affected. I'm interested in the effects of Planet X on the pass-by of Comet Hartly 2, best viewing estimated to happen on October 20th 2010. The picture (left bottom-greenish glow) was taken September 18th 2010 when Comet Hartley 2 was 18 million miles from Earth. (closest pass = 11 million miles). You can see the orbit currently eclipses Earth, Planet X and the Sun with it's pass-by being outside Earth's "orbit". The greenish glow of the comet is purported to be caused by cyanogen and diatomic carbon. Also, since it's discovery in 1986, the comet's increasingly shifting orbit has been blamed on Jupiter. I'm wondering if the Zetas care to comment on the cause of the greenish glow, what effects on there will be on it's appearance and timing and if the gravity/orbit shifts of Comet Hartley 2 are due to Planet X and not Jupiter. [and from another] http://cometography.com/pcomets/103p.html Periodic comet 103P/Hartley 2 is classed as a young, dwarf comet, with a nucleus roughly 1.14 kilometers across. It belongs to the Jupiter family of comets (comets with periods less than 20 years). The comet was discovered in 1986. Although it then had an orbital period of 6.3 years, an analysis of its orbit reveals the period had been longer in the recent past. During the early decades of the 20th century, the orbital period had been 9.3 years. A close approach to Jupiter in August 1947 (0.22 AU) reduced the period to 7.9 years, while another close approach during April 1971 (0.09 AU) reduced the period to 6.1 years. The comet has been seen at every return since its discovery. [and from another] http://darkerview.com/darkview/index.php?/archives/1449-Comet-103PHartley-2.html In 1982 the comet swung near Jupiter, where the strong effects of the giant planet's gravity modified the comet's orbit, changing its perihelion to a distance of 0.9 to 1.0AU. The comet now swings much nearer the Sun, the increased solar radiation nearer the sun creating a brighter coma and tail, leading to it's discovery and the occasional much better view for earthbound observers. Numerous elements cause a meteor or comet to blaze green. The issue of an increasingly more frequent orbit, noted for 103P/Hartley 2, is related to its decreasing size. The comets in your solar system are almost invariable composed of matter from the many water planets in the Asteroid Belt when they were smashed to pieces in the past. Their primary composition is water, which is sensitive to the solar wind. It is the water in comets that keeps them a distance from the Sun, being held away by the solar wind. As the blazing tails vaporize and release the water, the size of the comet diminishes, and this affects the shape of its orbit and even return period. A comet that floats past the Sun at a distance is moving slowly, and takes longer to return thus. A smaller comet that can come closer to the Sun picks up speed and retains this speed during the return trip. After being surprised in 2003 by a halted Earth orbit, where comets C/2001 Q4 and C/2002 T7 came early as they were not where expected vs a vs the Earth, NASA has amended comet trajectories and dates to take the halted orbit into account. Comets almost invariably have a tilted orbit that keeps them a distance from the planets, which in any case are not the gravity influence presumed by man. Comets interact with the Sun, and the solar wind, and little else. Thanks for all the excellent information and answers. I washed my truck today, with a couple weeks of fine powder dust, likely from Planet X's tail. If one were to analyze this dust, what markers would lead one to conclude it's origin? [and from another] In Italy on May 5, 2005 took the rain and filtered the dust, a very fine dust, similar to iron oxide dust. [and from another] Red dust at a Summer residence in Russia on May 14, 2007 in bathing with water which stood for the past year! Water became red color, and on the edges there was a wet red dust! Also there was red dust and in a city fountain directly at the bottom. Predictably the dust contains iron as when in water it aligns on a magnet! [and from another] I recently noticed on July 12, 2007 red dust as a leftover from years on a never used plastic chair on my balcony in Germany. That chair was standing outdoors but under a roof. I put some of the red dust on a piece of paper and checked it out with a strong magnet. The dust turned out to be magnetic. It is iron oxide. When Planet X arrived in the inner solar system in 2003, and put on the brakes so as not to collide with the Sun, the massive tail of Planet X kept moving past the Sun to waft the Earth which was riding on the opposite side of the Sun. 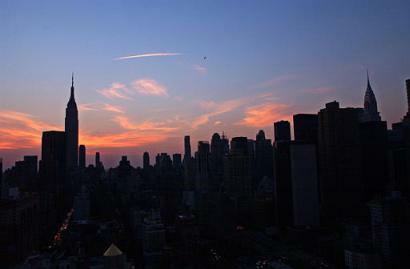 That summer of 2003, the Earth experienced numerous massive blackouts in August and September, as the one afflicting New York City on August 14, 2003. This dust lingered in the vicinity for some time, especially as the Earth was then backing up in its orbit from the December position back into what will soon be the August position. Thus in the years following 2003, red dust landed on Earth to be discovered by curious man, who often analyzed the dust. It was found to be iron oxide, and magnetic! Is it possible for any computers to be functional after the pole shift? I rely heavily on a computer to provide health services to others. I installed a solar system a few years ago primarily to power the computer for my work. I have read alot about post-PS, though want to ask the question directly. It is possible to protect a computer system so that it will function after the pole shift. Man knows how to package and protect sensitive electronics to this end. But the major issue will not be salvaging you PC, but its long term use. Replacement parts will eventually be hard to find, the unforseen disruption that will prove to be a broken link. Thus your computer should be used at best as a backup to a manual system, or vice versa, so you are not devastated by loss of data. I'm very interested to know if we may be invaded by unfriendly extraterrestrials or beings that may try to harm us. If there is such a risk, how can we identify those and make the difference between "the good and the bad ones"? And if it is so, when would they show themselves, before, during or after the PS? We have spoken of the possibility of humans meeting aliens face-to-face after the pole shift in the conscious of the humans. Today, when conscious contact is not occurring, those giving the Call can anticipate the rule of Non-Interference with the free will of man to be in place. Counseling is allowed, but the human cannot be touched by aliens in the Service-to-Self. How will this change when the possibility of conscious contact exists after the pole shift? Where conscious contact with aliens in the Service-to-Other will begin after the pole shift, in a limited manner, conscious contact with aliens in the Service-to-Self will not occur until the leap to 4th density has been made, when those on Earth are almost all solidly Service-to-Other. At this time the rules will change, so that contact with aliens in the Service-to-Self will be covered under rules similar to our Rules of Engagement. If someone on Earth gives the Call to the Service-to-Self, there will be an ambassador arriving to explain the Rules of Engagement in place. There will be less deception, and it will be obvious whom you are dealing with. Was Hungarian catastrophe a result of negligence? Or this is a cover-up of the real causes? [and from another] Red sludge: Environmental disaster in Hungary [Oct 5] http://society.ezinemark.com/red-sludge-environmental-disaster-in-hungary The mud level rose up to 2 meters. According to the National Disaster Management Directorate, the sludge or waste of aluminum production consists of heavy metals, which makes people toxic if ingested. The cause of the incident has been investigated. [and from another] Hungarian toxic mud reaches Danube [Oct 7] http://rsc.org/chemistryworld/News/2010/October/07101003.asp The toxic 'red mud' from a ruptured chemical reservoir at an aluminium plant in Hungary that flooded local villages has now reached the Danube river. But attempts to reduce the mud's dangerously high pH have succeeded, lowering it from around 13 to 9.5. Since the disaster occurred emergency services have been struggling to prevent 700,000m3 of caustic red mud reaching the Danube, using plaster to dam the flow. The material, which covered houses, roads and gardens, had a pH of 13, making it extremely hazardous to humans and capable of burning skin on contact. National investigations into the cause of the accident are underway. Living near, or downstream from an industrial park is obviously perilous. Even during times when the Earth slumbers and does not have large earthquakes, the potential for disasters exists. When sinkholes are opening up and water and gas mains are snapping due to Earth movement, how safe are dams holding back sludge or large tanks of caustic or poisonous chemicals? We have stated that the effects of the pole shift - the wind and torrential rain and long weeks of drizzle - will dilute and disburse pollutants, but in the mean time they present a serious problem. In establishing your safe location, one should obviously consider industrial parks or bulk storage of poisonous material. These are not, in the main, located in rural or remote areas, but in cities or heavy population centers or where transport is handy. Thus, these areas would not be considered a safe location to begin with. As we have repeatedly stated, cities will not be safe after the pole shift, and the proximity of their industrial parks is just one more reason this is so. From the one hand my Q can be interpreted as an attempt to clarify the timeline of "level 7" event of the earth changes the Zetas said will happen this year. But on the other hand I think they themselves gave this hint. During the chat in April 24, 2010 ../index/zeta575.htm they said: "Planet X has temporarily turned its N Pole more than the 180° outward from the Sun, such that it is temporarily pointing its N Pole toward Earth. This forces Earth to lean to the left, then bounce back when the stance changes, all causing distress on the plates and earthquakes and plate movement as a result." Does this mean that before "level 7" accident this year there will be another lean to the left and so the event alarming this accident is near will be powerful fall of temperature in Northern hemisphere? What causes plates to break their hold on one another, along their borders, so they can move. What incites the movement in the first place? We have described the increasing earthquake magnitude and frequency during the Earth wobble, in place since 2004, as wearing away the rock fingers along these borders until they become smooth. This has of course set the stage, but any movement will eventually run into yet another snag, more rock fingers gripping each other, so the process only goes so far. The 7 of 10 scenarios All are related to large movements of the plates. That this is predicted to start this year, 2010, is due to many factors, but the main factor is the loss of the steady, gentle Serpentine Dance that Planet X and the Earth were engaged in, the slow steady daily wobble. As we explained in July, the wobble has become a rattled wobble. This is not any particular posture the Earth might take, vs a vs Planet X's magnetic field, but sudden movement, a jerking about. This can also be caused by Venus and the Dark Twin bumping into the Earth. This is of course not a physical clash, but any closeness of planets of this size to one another causes Repulsion Force buffeting. From the viewpoint of man, who cannot visually see these particle flows, it is all erratic and sudden and unpredictable.